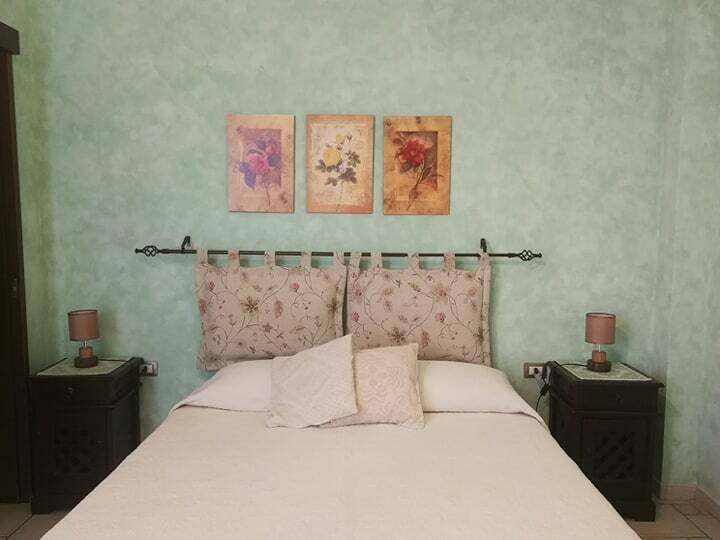 Ivy Room is the third bedroom of our Bed & Breakfast. You will love the bright apple green paint used on the walls. Guests have a special fondness for this room because of its characteristic ceiling and the room’s hexagonal shape. The room is and has a wide window with a view on the garden, where a lovely breeze comes from. The room has Italian classic style furniture and there are two armchairs that were made in XIX century. 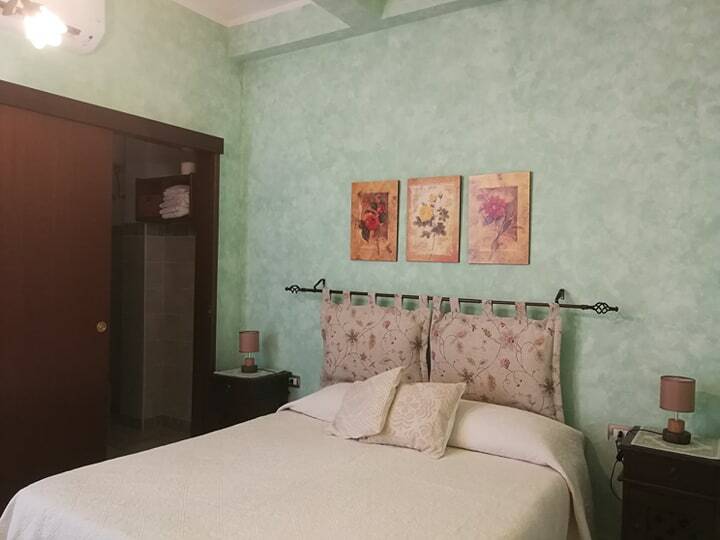 Both armchairs and the iron double bed are decorated with large flowered fluffy beige pillows. 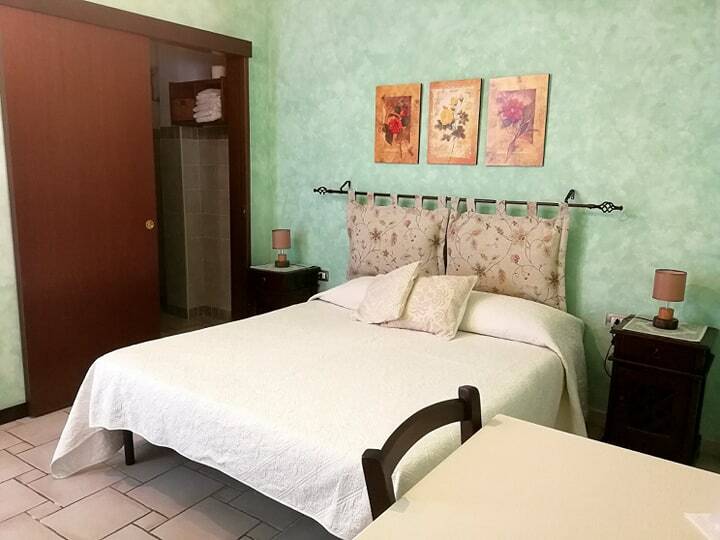 This double bedroom can also change into a triple one, as it is possible to add a third bed that we can provide if you are a family with a child or a small group of three friends. Ivy Room has a private ensuite bathroom with shower. 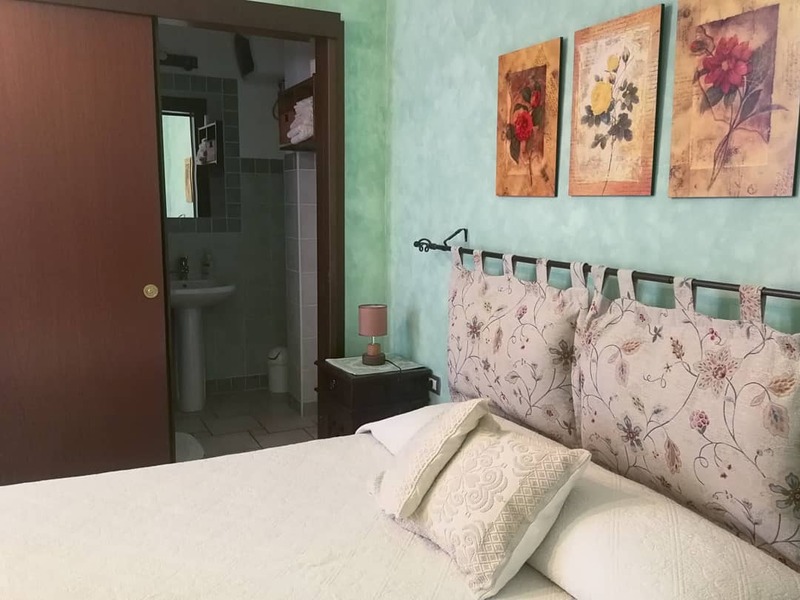 In the garden there is a clotheshorse for each bedroom, where guests can hung their own clothes to dry or air.The room is provided with sheets, towels, toilet paper and soft soap.We change bed sheets weekly. We provide rooms with fresh towels twice a week. Daily room cleaning, we also give their own room keys to our guests, so they can come back to our b&b anytime during the day or late at night, if they like.